Flooring 101 Simi Valley: Hardwood or Laminate? As it is time for you to select a new floor for your home the question occurs which is better, Hardwood or Laminate? Both floors have their pros and their cons. Hardwood floors floor made from timber and actual wood look gorgeous and beautiful and are durable, but can be a bit on the expensive side. However, it is undeniable the class that such a floor can give your home. A laminate floor meanwhile a floor combined from a variety of materials to create a synthetic wood can be easier to clean and replace in the long term. However while nice it may not be what the floor connoisseur is seeking, Our helpful guide can help you find out which kind of flooring you’re looking for. In a survey from USA Today, the results have shown that up to 54% of customers are willing to pay an average of $2,040 more for a home with hardwood floors. Putting hardwood floors in your home can be considered an investment for the long term, something that will make your home when you resell it all the better. Hardwood floors are generally easier to repair than laminate floors as a new coat or sanding will help them last a little longer. Hardwood floors are not as durable as laminate floors. Because they are made out of actual wood rather than faux wood they’re more susceptible to chipping, breaking and wear not to mention damage from moisture or insects. You will need to refurbish them regularly. Hardwood due to its greater demand and more expensive material costs more and is more expensive to install than laminate flooring. However, as stated above, it will bring a good return on your investment when it comes time to sell the house. Laminate flooring is far more durable than its hardwood counterpart. Water damage is near nonexistent and the wearing away of daily use is less likely to happen. 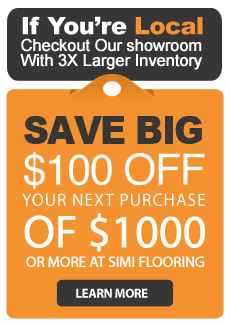 All in all, it is a cheaper floor that will last you far longer. That durability will come in handy as laminate floors are generally much more expensive to fix. While hardwood floors can be fixed with a refurbishing fixing floors is a much more involved process. Laminate floors unfortunately will not raise the price of your home. They are considered less a luxury item and more a utilitarian item and as such are not a plus when shopping. So in conclusion hardwood floors will raise the price of your house but are more expensive and less durable so in short between installation and upkeep its an investment that will hopefully pay off. Laminate floors are more utilitarian but are cheap to install and will not need too much upkeep. It depends of course on what your plans for your current home are. If you wish to resell in the future, hardwood may be the way to go and if your home is more of a temporary space go laminate.